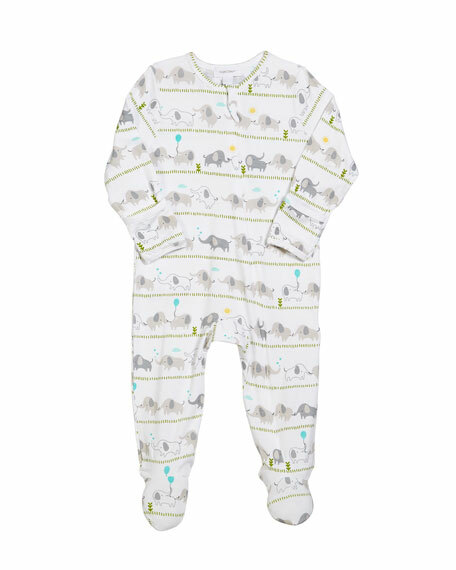 Angel Dear footie pajamas in allover stripe and elephant print. Crew neckline; asymmetric zip front. For in-store inquiries, use sku #2558518.